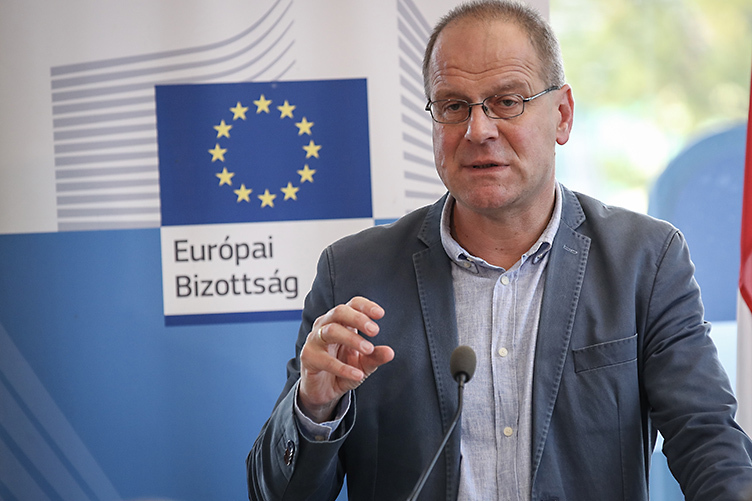 European Commissioner for Education, Culture, Youth and Sport Tibor Navracsics said in Budapest on Friday that despite the Fidesz government’s mantra, the European Commission does not take orders from George Soros, reports index.hu. “Hungary is not the first and only [Member State] that makes the European Commission a scapegoat and time after time accuses it of certain things, however the Soros plan is not on the agenda of the Commission,” the former leader of Fidesz’s parliamentary delegation said at a press event where he summarized President of the European Commission Jean-Claude Juncker’s State of the Union speech. “Usually we are very cautious not to end up in an election campaign because both parties might want to try to use [the European Commission],” Navracsics said. The former Minister of Public Administration and Justice, responding to accusations by high Fidesz officials, said he does not know how the European Commission would ever receive orders from Hungarian-American billionaire Soros because he has never encountered such orders. In September, Commissioner Navracsics called his party’s latest national consultation on the alleged Soros plan a “rhetorical element of the upcoming election campaign,” and insisted that there is no such thing as a Soros plan in the European Commission. Semjén, the president of the co-ruling Christian Democratic People’s Party (KDNP), gave listeners a surprisingly thorough description of how Soros, the current bogeyman of the Hungarian government, delivers his program to Junker and other EU leaders. Semjén stressed that one ought to be faithful to their country and loyal to their employer, and asked Navracsics to consider his own faithfulness when it comes to his own nation and “an international organization”. The Deputy Prime Minister said he hopes that Navracsics’s statement was only a result of journalistic misinterpretation. The KDNP president said the initial cause of the migration crisis had been the Freemasons, who produced the Jacobins and Bolsheviks in the past, and are now directing Soros’s “radical-liberal thing” that hates Christian traditions and national states. Semjén went even further by stating that since left-wing liberal parties are not capable of beating the national forces, they can only count on “unaffiliated immigrant Islamic masses.” Then the Deputy Prime Minister explained that Hungarian culture “defines itself against Islam as the defensive shield of Christian Europe.” Semjén concluded his thoughts by envisioning an apocalyptic future about “parallel societies” that will eventually lead to burning suburbs from Malmö to Marseille.